In 2024 B.C., Enlil (Yahweh) ordered the Sinai Spaceport and the Canaanite cities on the south end of the Dead Sea nuked. The fallout, however, blew over and decimated all Sumer but spared Marduk’s stronghold in Babylon. The other Nibiran chiefs fled to Europe, India and the Western Hemisphere. Enlil sent his toady Abraham beyond the fallout to safety in Canaan. 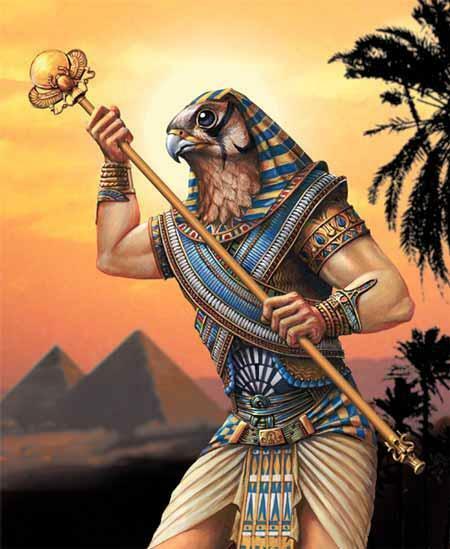 Maduk left Egypt, where he’d been known as Ra, for Babylon and became, in Egypt, “Ra Amon”–the absent Ra. For awhile, Marduk took command of the Middle East, ushering in a New Age dominated by Babylon. “The New Age that Marduk and Babylon ushered in manifested in a new religion, a polytheism in which one god dominated all others.” Enlil tried to counter this polytheism forbidding his followers, whose males he branded by ordering them to circumcise themselves, worship him only, and had any, including Queen Jezebel, who tolerated worship of other gods killed. Under Marduk’s New Age, “gods guided the policies of their countries through signs and omens. For many millennia, Anu, Enlil and the other Anunnaki leaders [had] made decisions affecting the Anunnaki; Enlil by himself was Lord of Command as far as mankind was concerned. Now signs and omens in the heavens guided decisions. Celestial omens–planetary conjunctions, eclipses, lunar halow, stellar backgrounds were sufficient by themselves. No godly intervention or participation was required; the heavens alone foretold the fates. “Astrology developed with fortune-teller priests on hand to interpret observations of celestial phenomena.” Sound like our own New Age? “Astronomical tablets of the Babylonians were computer printouts (Ephemerides), copies from pre-existing sourses of zodiacal constellations. All the Bablylonians knew was how to use them, translating into Babylonian the Sumerian procedure texts. Hellenistic, Persian and Indian astrology derived from such records. Under Marduk, there was “an overall decline in the role of women and their status as compared to Sumerian times.” The decline in women’s status was generated from Marduk who,hated women. “Ninharsag, Mother of Gods and Men was mother of Marduk’s main adversary on Earth, Ninurta. Inanna/Ishtar caused him to be buried alive inside the Great Pyramid. Goddesses in charge of the arts and sciences assisted the construction of the Eninnu in Lagash as a symbol of defiance of Marduk’s claims that his time had come. Matriarchal lineages lost their significance when Maduk became supreme” in 2025 and continued to be suppressed up to now by the Catholic and Islamic religions invested in denying Jesus’ maternal lineage in the Merovingian royals of France from his wife Mary of the the Essenes among whom Jesus matured. To reclaim our intelligence as a species, we must again revere women and real astronomy. Miscegenation, Astrology, Judaism, Christianity and Islam must yield to partnership, scientific observation, embrace of our true heritage as an engineered Erectus/Nibiran species and the experience of the loving thread of the Prime Creator inherent in all beings. I was just wondering if marduk was such a women hater, then why would he marry an earthling hybrid sarpanit despite the rejection of all anunnakis and also lose his throne in nibiru? i had always that of enki, marduk, toth and nabu as the saviours of humankind when they walked out of the councel which had decided on telling humans of the coming disaster…they wanted to save earthlings unlike enlil.. I would like to sign up as a member, however when I go to member/signup the page is completely blank.